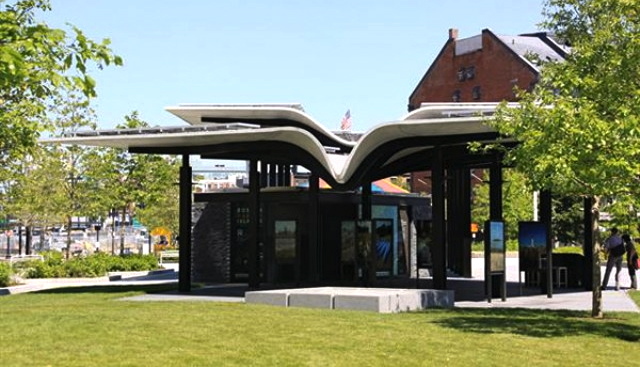 CW Keller, an architectural millwork, furniture, and design firm, drew on multiple resources to fabricate the roof of the Boston Harbor Park Pavilion. 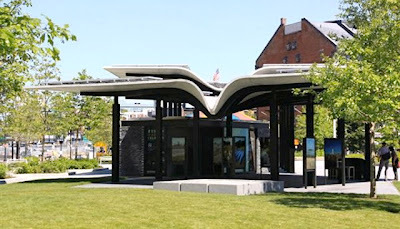 The Pavilion's open-air roof is actually two complex curved canopies. To define the surfaces, optimize the material yield, and translate the data to machine-ready CNC files, CW Keller relied on Rhino. More on the construction . . .
More on the design by Utile . . .